Real Madrid 3-1 Barcelona | Experience in tactical decision making ultimately won the El Clasico as Carlo Ancelotti’s Real Madrid proved to be better organised, more mature and adept at taking on this fixture, while Luis Enrique could be accused of a little naivety in his first managerial experience of this monumental game. 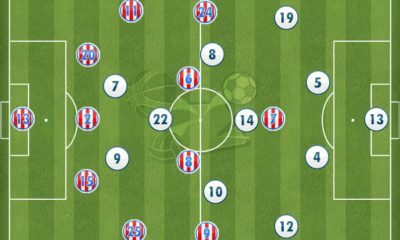 With a significantly narrow midfield, Barcelona’s wide play was largely absent, particularly on the right hand side. While Luis Suarez got a surprise debut appearance from the start on that side of the pitch, he had Dani Alves from the back as company with next to nothing from the central midfield players. Brazilian Alves has come under a lot of criticism from his own supporters, with his time at the club seemingly up, and their record signing Suarez was far from fit to really compete at the level you expect a Barcelona player to do in a derby. This resulted in weak wing play being further weakened by two below par and/or lacking fitness players. Though Suarez did create that quick opening goal for Neymar, and went on to present Lionel Messi with a tempting opportunity as well, that was as far as it went for the ex-Liverpool star in terms of positive feedback. Much of the game on that side of the pitch (Real Madrid’s left) was dominated by Isco & Marcelo’s excellent partnership and understanding. 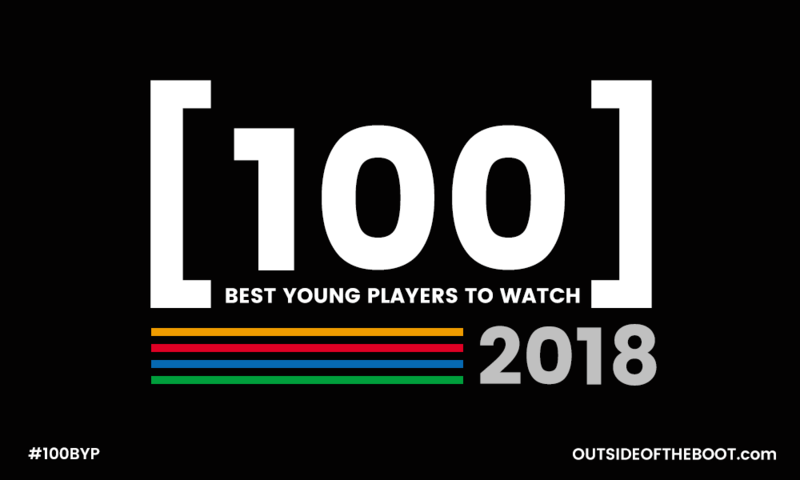 While Isco had been warned he’d struggle for opportunities at the glamorous club (and rightly so), his experience under a coach of Carlo Ancelotti’s calibre has certainly improved the youngster – specifically in the defensive aspect of the game. A common sight at the Bernabeu was the way Marcelo and Isco alternated regularly through phases of play, taking advantage of Dani Alves’ defensive weakness and Suarez’ lack of fitness. Marcelo made darting runs down the left-flank during the opening hour or so, terrorising his Brazilian compatriot and creating opportunities. This attacking movement was only possible if sufficient cover was provided at the back by a midfield team-mate. Up stepped Isco to do just that showcasing excellent maturity in his display. 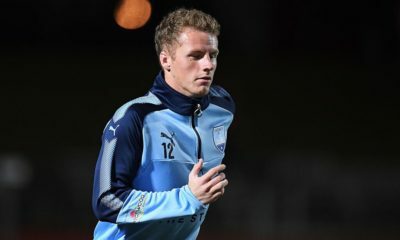 Often the full-back was far more advanced than the young midfielder who opted to tuck deep in that wide area to control against any potential attack. 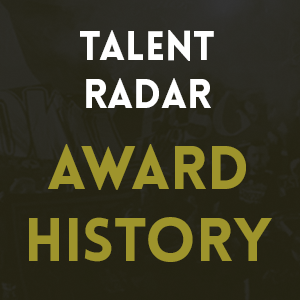 His performances recently have resembled another young midfielder at a Madrid club who received high praise last season for his defensive work out wide, and his attacking contribution, even winning the Talent Radar 2013/14 Player of the Season Award. It was Marcelo’s good work down the left (while Isco provided protection) that earned Real Madrid their penalty and it was Isco’s excellent ability at pressing and regaining possession that allowed a quick counter to create the third goal. 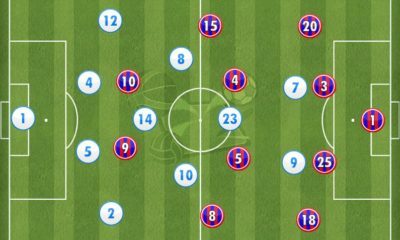 This was probably a specific tactic by Carlo Ancelotti to exploit that weak Alves-Suarez right side of Barcelona, rather than just a system employed throughout because the difference in combination between Marcelo-Isco and Carvajal-James was quite evident. Though James Rodriguez did do a good defensive job himself, the way he combined with Carvajal was far different. The Spanish full-back didn’t get as forward and as often as Marcelo, while James was rarely on hand to sit deeper, preferring to influence the attack more. Though Isco wasn’t given the liberty of contributing in attack as much as the Colombian, his defensive duty also meant Real Madrid had three deep midfielders over to protect against a counter (Isco, Toni Kroos & Luka Modric). Speaking of Real Madrid’s midfield, their display was far more defensively sound, quicker in transitions, balanced on the night and much more organised than that of the three-man system employed from Barcelona. Though Toni Kroos & Luka Modric are far more popular for their creative displays, their defensive work-rate can easily go unnoticed (like Isco). The Kroos-Modric combination provided more than sufficient cover to the defence as they often sat deep to ensure Barcelona’s midfield was unable to combine with their threatening attacking trio. Although they did move further forward occasionally to win back possession in Barcelona’s half, they rarely joined in attack either directly or in terms of creativity (shown by the fact between the two only 1 shot was taken on goal). They did well in recycling possession, often into the wide areas but rarely looked to create chances (again only 1 between the two). Their job was more unspectacular than usual, but far more crucial in the defensive phase. Kroos managed a 93% pass completion rate, bettered in the Real team only by Luka Modric’s 100%. Above is an excellent example of how well the Real side set-up without the ball, with Kroos moving onto Busquets, Modric on Iniesta and James the player pressing the man in possession. Barcelona’s good passing and possession football develops right from the back, and Real Madrid looked to eliminate it at it’s origin before it seeped into the normal functioning of the game. Though the sides went in level at half-time, this tactic was vital as Barca had an early lead and could have pushed on, eventually taking control of the game, had Real not done so themselves. As we witnessed, following the goal and couple of minutes after, the home side had better control of the game. 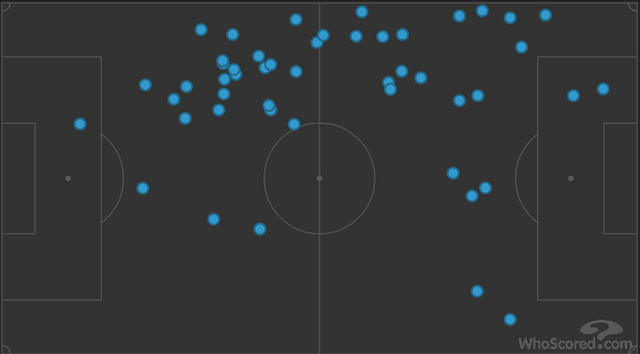 Another excellent characteristic of the Kroos-Modric midfield set-up was their defensive movement. Central midfielders moving wide in a defensive capacity isn’t an innovative tactic, but the fact that both those central players did it consistently (one obviously moving further wide than the other) along with the existing wide midfielder is what made it increasingly difficult for Barcelona. 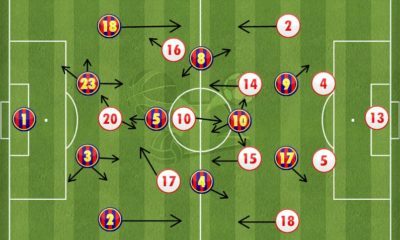 Again, this was more evident on the left-side of Barcelona’s attack as Jeremy Mathieu and Neymar were far more threatening than their team-mates on the other side, while Iniesta too provided some form of threat further than Xavi did on the right. 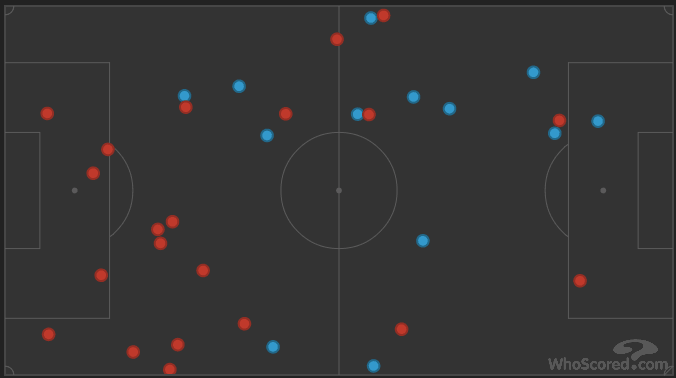 With three men (Kroos, Modric and James/Isco) doing well to combine when Barcelona had the ball in wide areas, they further reduced the attacking threat after already doing a stellar job in central areas. This midfield combination further assisted in keeping Lionel Messi’s influence on proceedings between minimal and negligible. This season has seen Lionel Messi add an assist part to his game; though already existing, the proportion of assists has certainly increased showcasing the development of an already world-class individual. This has been crucial as Xavi & Iniesta just aren’t what they were some three years back. Ancelotti realised the need to keep the four-time Ballon D’Or winner under control. The game witnessed a significantly deep Lionel Messi, attempting to make up for the lack of creativity from the central & deep midfelders, at the cost of having attacking options in the final third (further affected by the lack of regular attacks from the full-backs). But whether found in deeper areas or higher up the pitch, Messi had 2-3 Real Madrid players on him for company, preventing him from having time or space on the ball but being clever enough to not get too tight with the Argentine (something which he often thrives on with his quick turns). Above it’s again that same trio of midfielders putting pressure on Messi as he receives the pass; a pass which he isn’t able to do much with than recycle possession (not something that is successfully done regularly on him). 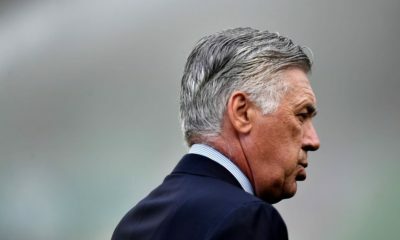 It’s no secret that Real Madrid under Ancelotti have become champions of the counter-attacking system; with the pace at his disposal, counters would have to be the obvious ploy. Even though they missed the pace of Gareth Bale, they made up for it with the pace & quickness of Marcelo (allowed to function by Isco, as explained above). The second goal came as a result of a counter with Barcelona giving away possession in midfield and Real using it to their advantage, earning a corner and scoring from the resulting set-piece. The third was a more direct counter-attack, again coming off a Barcelona error at the half-way line. It was Real Madrid’s approach of employing deeper central midfield players and defensive minded wide midfielders that pulled the Barcelona side further forward, forcing a high-line in their defence and making it further vulnerable at the back to a quick counter. The away side weren’t helped by the errors they created, but also by the lack of defensive contribution from their midfield players (Xavi & Iniesta in particular). Once Real Madrid got the 3rd goal with half-an-hour to play, the game became much easier for Ancelotti’s side to control. Luis Enrique had a pride vs points question, though his decision was unclear, the home side did more than enough to ensure the game ended comfortably (and defensively they didn’t do much wrong bar that 3rd minute Neymar goal). They grew much deeper, left Barecelona further vulnerable to counters, but crucially had designated roles to see the game out. The full-backs didn’t bomb forward as they did earlier, rather maintaining a flat-back four nearly throughout all phases of play. It was the midfielders who did the running making it further compact in the central areas, constantly following the ball to regain possession while Ronaldo & Benzema acted as the higher pressers and potential counter attacking options. 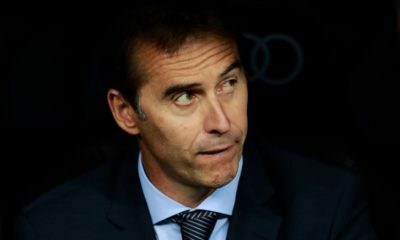 The system worked so well that the first Real Madrid change didn’t come until the 83rd minute, after which Ancelotti just threw in defensively solid players to replace the understandably tired starters. The above graphic gives a further idea of how well Real Madrid contained Barcelona in attacking areas, forcing errors and turnover of possession. A quick two-three passes then turned these into excellent counters. Neymar and Alves lost possession more times than any others (9 in total), a majority of which came in Real Madrid’s half. While Real’s higher pressing in the opening stages prevented Barca from controlling possession, their deeper display worked in preventing them from working their way into the final third how they usually do. The result didn’t greatly affect the league table but certainly affected a lot of pride. While trophies have always been paramount for both these clubs, next in line will always remain an El Clasico triumph. In the aftermath of this contest though, Barcelona still occupy top spot (jointly held with Sevilla) a point ahead of Real Madrid. One won’t expect this proximity in the table between the two giants to greatly change, as a battle at the top between the two is expected. 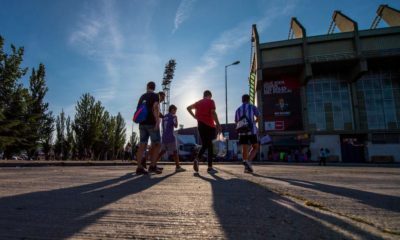 The onus is on the defending champions Atletico Madrid, and the good start of Sevilla to prevent a duopoly between the two.